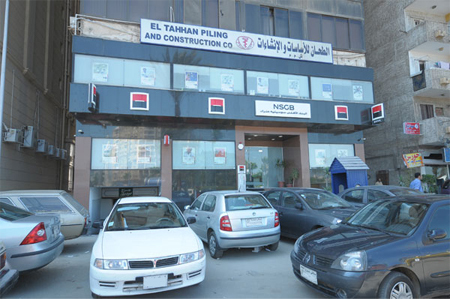 Since its establishment in 1978, NSGB is one of Egypt's largest private banks. NSGB traditionally focused on corporate banking with large clients. NSGB was created by Société Générale, one of Europe's largest banks and the National Bank of Egypt. Required a robust Time Attendance and Access Control system to cater up to 3000 users, with option to increase capacity in the future. Has multiple branches therefore needed to be connected over multiple locations. Data is needed to be pooled from these sites into the NSGB's main headquarters. 150x ACTAtek combination models (ACTA-3K-FS-M) were deployed in many of the bank's branches and the main headquarters. Many were eventually upgraded later to increase user capacity of up to 5000 users (ACTA-5K-FS-M). Flexible authentication options including optical biometric fingerprint and smart card technology. Access Control facilities are built in for security management of employees and restricted areas, save costs with a unified system to avoid unnecessary additional hardware. Network ready with built in LAN connectivity for multiple site installation. Configurable Primary/Secondary setup with designated IP Address facility. All ACTAtek units are synchronized using ACTAtek Sync, where the event log data are transmitted to the central database in real time. ACTAtek Agent middleware helps collects data event log data from multiple terminals in either real-time or time scheduled mode into the database server. Third party software integration allows customisable Time Attendance software provided by the vendor with components of the SOAP SDK. There were minor issues with the Primary/Secondary setup but it was resolved with assistance from the ACTAtek Technical Support team. Additional tools and software were deployed to help remedy issues to fit the needs required by NSGB bank.